Zanu-PF is paying for political adverts being aired by the Zimbabwe Broadcasting Corporation (ZBC), while the MDC Alliance is crying wolf over unfair coverage by the national broadcaster because of failure to pay for the available political advertising space, Permanent Secretary for Information, Media and Broadcasting Services Mr George Charamba has said. According to Section 160 H of the Electoral Act (Political advertising in broadcasting and print media), all political parties should be accorded advertising space by the national broadcaster, but such ads should be paid for. In an interview yesterday, Mr Charamba said the MDC Alliance should not blame the national broadcaster for its lack of funding to pay for the adverts. “People must not confuse access and procurement issues. At law, all political parties have a right of access to the national broadcaster, but it’s up to the political players to translate that right into reality and that is a function of the means, which are the resources and not of the law. “If you look at the MDC Alliance party, they have been clearly struggling to campaign properly, which is why they have been trying to fundraise and which is also why they have not been able to purchase decent platforms for their candidate,” he said in reference to the embarrassing incident that saw MDC Alliance president Mr Chamisa falling off the stage in Hwange last month. Mr Charamba said the MDC Alliance’s financial woes are there for all to see, as the party has even failed to put up posters on trees. He was responding to claims by former MDC-T Member of Parliament Mr Settlement Chikwinya who claimed that ZBC was charging prohibitive fees. Mr Charamba added: “They should never be a sense in anyone’s head that merely because they are contesting elections, that in itself is a license to rundown the frames of ZBC as a broadcaster. We will not allow that. He suggested that MDC Alliance members could be converting party funds to personal use in anticipation of electoral defeat. In an interview with The Sunday Mail yesterday, ZBC chief executive Mr Patrick Mavura said the MDC Alliance was among the motley of parties that have failed to take up the national broadcaster’s call for paid-for political adverts. “We have availed programmes which are for free and other programmes which are paid for through adverts. 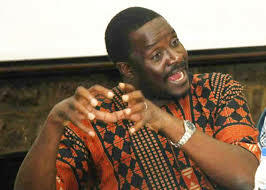 Mr Mavura said ZBC had reduced advertising rate for political parties by 30 percent. It is believed the opposition party has been pushing for free coverage in order to compensate for their failure pay for ad space. Last week, MDC Alliance spokesperson Mr Welshman Ncube told our Bulawayo Bureau that his party had not been able to print posters for its presidential candidate, Mr Chamisa. He also revealed that the party had resorted to selling regalia as it could not give it for free. Early this year, Mr Chamisa’s party received US$1,873 663.83 under the Political Parties Fund Act, but MDCT- president Dr Thokozani Khupe, who broke ranks with the MDC-Alliance, has been fighting to get a share of the funds, saying her party was the legitimate beneficiary.